The mainstream economic analysis of the 1970s, when Romer was a graduate student and Nordhaus was an assistant professor, was mostly dedicated to what’s known as general equilibrium analysis: if consumers were to maximize their utilities, and producers were to maximize their profits, what would happen? Both Romer and Nordhaus provided key insights to thinking about what happens over time. That is, how our individual decisions today shape the outcomes for society as a whole in the future. They both framed their ideas in the then-nascent field of economic growth, and both changed it completely. But economists failed to address the underlying reasons for technological progress — it was just assumed to happen — and they took the fact that it had risen enormously since the industrial revolution for granted. There was little interest in why some countries grow faster than others: after all, it was assumed, everyone in the world was using similar technologies. Romer, it has been suggested, was inspired by a graph showing how economic growth has skyrocketed since the industrial revolution, and decided he wanted to get to the bottom of it. In doing so, Romer changed the old approach to economic growth completely. Instead of technological growth simply happening — as if falling upon the economy from the sky — his doctoral thesis assumed that economic agents, such as people or businesses, can actively affect the speed of economic growth. The rate of growth of GDP per person began to meaningfully depend upon the proportion of the labor force dedicated to developing new ideas. Obviously, more people producing ideas means fewer people producing goods in the short run. But you’d get a higher rate of growth in the long run due to more ideas leading to better productivity. Other economists followed this line of thinking (Robert Barro, Daron Acemoglu, Philippe Aghion — all prize candidates for a few years now), and the Journal of Economic Growth that covers these topics is now one of the most prestigious and most cited in economics. 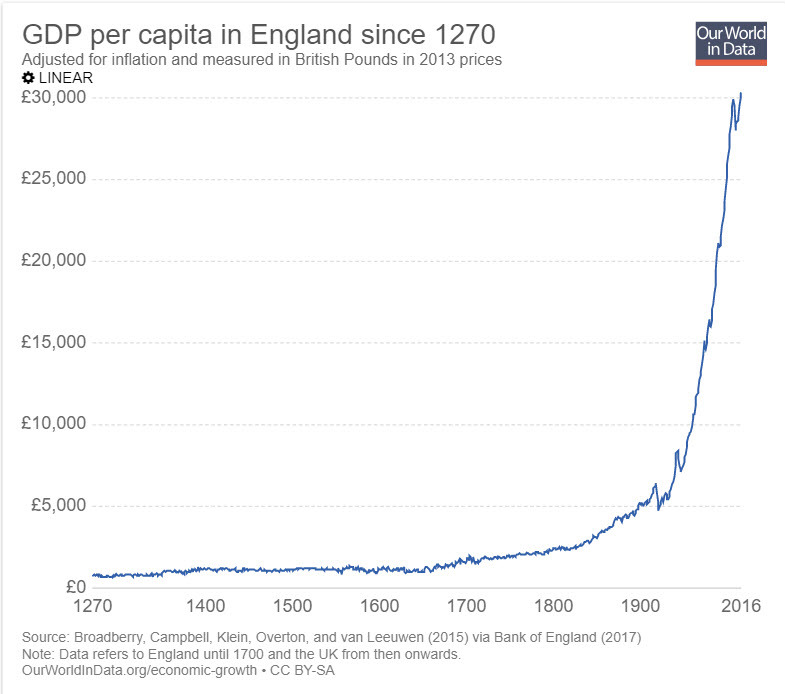 Maybe I’m missing the plotline here, but this just seems to highlight to me how empirically wanting international macroeconomic theory is when attempting to make sense of something like how and why the industrial revolution in England occurred (vs the rest of the world), but pays zero attention to population genetics and race realism. There is such opportunity for cross-fertilization between disciplines if and when The Cathedral ever relents on taboo subjects for discussion.